Established in 2005 and headquartered in Milan, Go Next Group is a global Advisory and Investment firm. The group has a very strong digital background and over the years it has invested in some growing online companies. The group owns 100% of Go Next Digital company, a web hothouse that has developed Whuis.com, the first Italian site to assess the reliability of people. Go Next Group also has a presence in London UK, and Sydney, Australia. Go Next Digital operate with expertise and cutting edge technology in order to support international customers in their digital strategies and social activities. We provide digital platforms aiming at reshaping different sectors such as real-estate, tourism, news, health & sports. We believe that the combination of dynamic new entrepreneurs and Go Next Group founders’ experience leads to a strong base for new successful ventures. We strive for excellence through innovative thinking, a market driven approach and proven methodologies. At Go Next Group, we provide comprehensive strategic solutions for our clients in Italy and around the world. Go Next Group clients include shopping Center Group Unibail-Rodamco-Westfield, David Lloyd Clubs, and many others. Go Next Group offers one-stop-shop on-the-ground support and assistance to overseas businesses seeking to expand into the Italy region. Our target is to invest in and support new businesses with capital plus proactive advice and expertise. The Group invests in real estate. The first investment was a Residence Structure in Sardinia (Italy) in 2005. Over the years, the company has continued to invest in the real estate sector in major Italian cities and in USA. In 2014 Go Next Group bought a building in Milan and converted it into a hotel-apartment structure to satisfy the emerging needs of business travelers into the city. Our team is committed to excellence and strives to provide the best services for our clients. Our mission is to ease any client’s needs and demands in the fields of communication & marketing, social strategy, strategic advisory and business development. We ensure an attentive and unique approach by offering a skillful in-depth know-how of operational challenges. Our philosophy is to work closely with our clients to ensure substantial improvements, successful results and mutual satisfaction. At Go Next Group, we provide comprehensive strategic solutions for our clients around the world. Our professionals have a wide array of specialized industry knowledge and experience. Mr. Mancini is Managing Partner of Go Next Group, an investment and advisory business, and Key Affiliate of Rann Strategy Group, a London-based strategic advisory service with extraordinary global reach. He was previously General Manager, International Expansion of REA Group, majority owned by Rupert Murdoch’s News Corporation. Rea Group is one of the leading players at international level for on-line real estate. Mr. Mancini boasts a 20-year-long experience in Internet and media, ‘disrupting’ traditional markets in areas such as real estate and travel. He has experience in managing large organizations as well as start-ups, specialising in the digital transformation of businesses. Mr. Mancini has held senior managerial positions in travel and technology companies. In the past, Mr. Mancini was European General Manager of REA Group and CEO of the online real estate portal Casa.it leader in Italy, Immoregion.fr in France and athome.lu in Luxembourg. Under his leadership REA’s revenue in Europe increased substantially and he drove its websites, such as Casa.it from their infancy to positions of market leadership. He was a board member of the IAB (the Internet Advertising Bureau) which promotes links between media and marketing organisations while providing guidance on how traditional players can thrive in the digital age. Prior roles include E-Business and Direct Sales Director of Costa Crociere (Cruises) owned by the worldwide leader Carnival Corp. based in Miami; Solution Marketing Manager of Ricoh ( NRG) and IT Manager of Ventaclub (Tour Operator -Viaggi del Ventaglio). 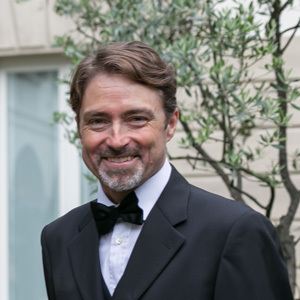 Mr. Mancini has a degree in business and economics from the University of Pescara and a Master in Tourism Management from Venice University. 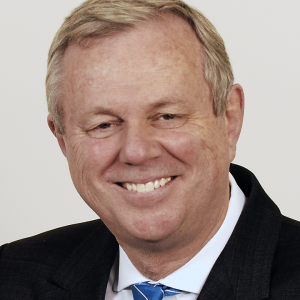 Premier of South Australia and Minister for Economic Development for almost a decade, Mike Rann is extraordinarily well-connected in business and politics internationally. 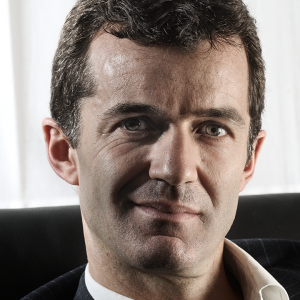 He is CEO of Rann Strategy Group, based in London and Rome, and is proud to be part of Go Next Group. After 26 years in Parliament in South Australia and many years as a Minister, Mike Rann became Australia’s High Commissioner (Ambassador) to the UK and then served in Rome as his country’s Ambassador to Italy, Albania and Libya, and Permanent Representative to the UN’s FAO and World Food Program.Working closely with GoNextGroup Mr. Rann will focus on assisting companies to do business in Australia, Italy, UK, US, India, New Zealand and the Balkans. Mike Rann has been honored by Australia, New Zealand, Poland and Greece. He is currently Visiting Professor at the Policy Institute of King’s College London. Liesl Jordan is the founder and principal of eLM&Jay Business Advisory. Liesl’s career spans 27 years in government, multi-lateral organisations and the private sector in diverse geographies such as Australia, north Asia, south Asia, Europe, Africa and the UK. 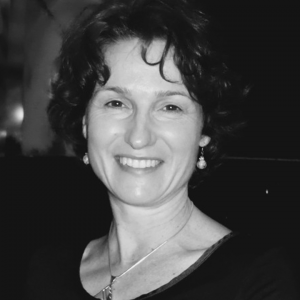 Liesl Jordan has a demonstrated history working in the management consulting industry. Liesl Jordan is a strong operations professional skilled in Strategic Planning, Strategic Advisory, Project Management and Business Development. She was a senior consultant for a global Big 4 company where she consulted to federal governments and private sector providers on the implementation of major change agendas. Later as co-owner of Rann Strategy Group, she advised major international corporations on their business transformation and government relations strategies, drawing on her experience working in and outside government and with former politicians and political advisers. Liesl’s strengths are in connecting people with complementary business needs and ensuring connections stay live and deliver value. She has an international business network that spans a wide range of sectors and geographies which she uses to bring people together and to assist them to expand their own relationship capital. Commencing his career in Australia in a tax and management advisory practice 20 years ago, Daniel has since worked in senior management and commercial roles within multinationals across Europe, the US and Australia in the various sectors of Information Technology, real estate and consumer products distribution. Since 2004 Daniel has run his own consulting and financial advice business, serving a select group of clients whose domestic and commercial interests often span several countries or continents. Client solutions are necessarily tailored to often complex cross-border business and personal investment needs. Daniel brings sound strategic and commercial support to Go Next Group operations, and is dedicated to facilitating trade and investment between Italy and the UK as part of his current role as President of The British Chamber of Commerce in Italy.